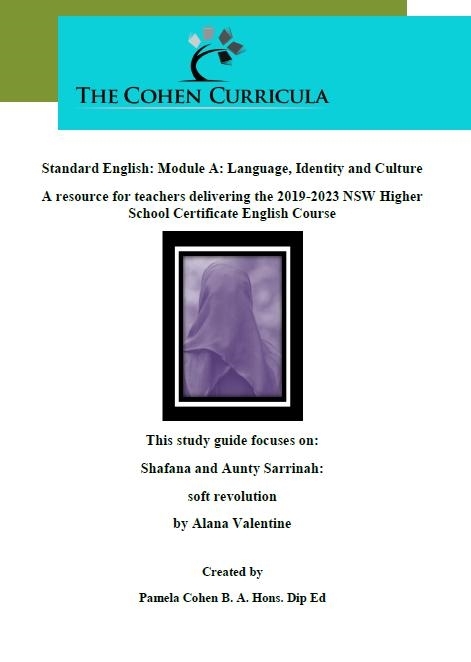 This extensive resource for Module A: Language, Identity and Culture:Shafana & Aunt Sarrinah: soft revolution, provides you, the teacher, with a ready to implement, classroom teaching program. The resource presents our curricula workshops and worksheets ready to print, photocopy and use. The teaching program is thorough and covers the requirements set by NESA. Each worksheet provides opportunities for students to engage with the cultural and philosophical identity concepts embedded in the text. Themes, issues and ideas are explored through annotated worksheets specific to the play allowing for a supported yet increasingly independent approach following the gradual release of responsibility model. Context studies are incorporated, assisting students to extend their understanding of how texts reflect an awareness of the concept. Detailed workshops on the syllabus components present opportunities to examine how meaning is constructed and presents suggested interpretations and insights. A thorough and detailed study of the language of the play, relating to the module is provided. 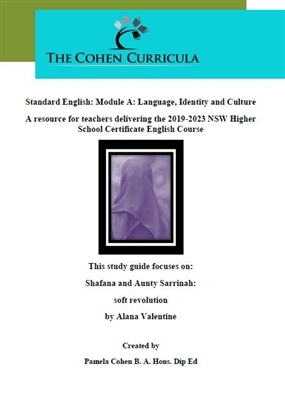 These worksheets will allow students to work individually or in groups to develop responses on the ways in which the text uses language to explore identity and culture. The program allows for explicit teaching of vocabulary, detailed analysis of the play and concept and essay writing. Sample essay questions are provided to get students thinking about the core concepts and push them to develop responses that demonstrate significant insights offered in this text.